South Korea: Don’t Give Us Gas! 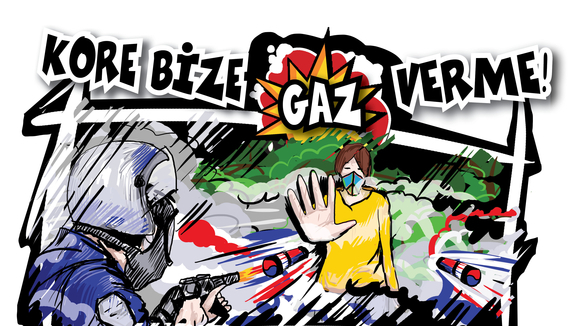 With South Korea planning to ship 550,000 teargas canisters and grenades to Turkey next month, it is time to act. Please take action today! With the first proposed shipment of 550,000 teargas canisters and grenades scheduled for the middle of January, a coalition of human rights groups, including Amnesty International – Turkey have joined in a petition drive asking the South Korean government to suspend shipments before it is too late. 3. Contact the South Korean government directly. You can also contact South Korean embassies or consulates in your home country and express your concerns to them directly. A full list of South Korea’s overseas representatives can be found here. The first shipment is only weeks away. The time to act is now. This entry was posted in Amnesty International, Excessive Force, Freedom of Assembly, Freedom of Expression, Gezi Park, South Korea, Teargas, Turkey and tagged Amnesty International, excessive force, Freedom of Assembly, Freedom of Expression, teargas, Turkey. Bookmark the permalink.